In the article, a defense expert questioned how acting Shanahan could perform essential functions of his position while recused from Boeing, because of its position as the second biggest defense contractor. CREW filed a Freedom of Information Act request with the Department of Defense for any waivers Shanahan received on his recusal from Boeing related matters. With potentially hundreds of millions or even billions of dollars at stake in defense contracts, the public has a direct and clear interest in understand the role he is playing, and whether he is being allowed to put his finger on the scale in favor of his former employer. 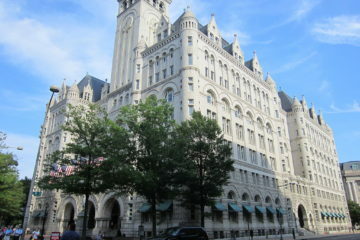 Trump is both commander in chief of the United States Armed Forces and the principal beneficiary of the trust that owns the DC hotel.